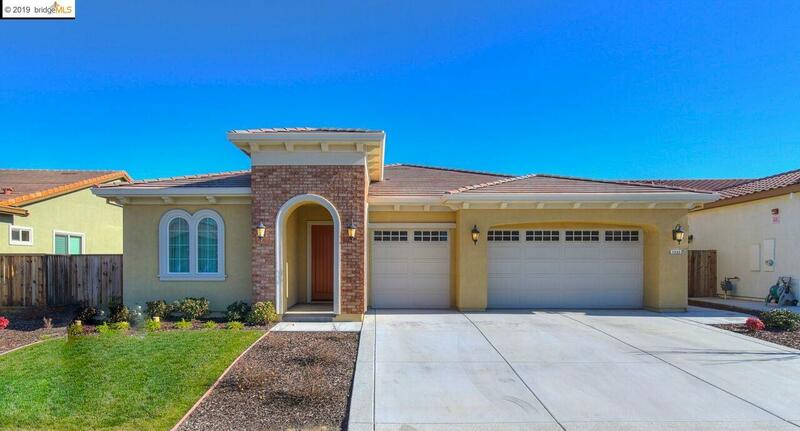 Beautiful, Newer Single-Story Home in The Lakes, Master Planned Gated Community in Discovery Bay! Sits on an Over-Sized 9,000 sqft Pool-Sized, Fully Landscaped Lot with a Wide 10' Set Back along North Fence for Possible Side-Yard Access! This Charming Home Offers 2,692 sqft, 4 Bed + Den + 3 Bath + 3 Car Garage & Features Tasteful, High-End Finishes & Upgrades t/o! Enjoy the Open Concept Floor Plan, Including a Dining Rm w/Built-In Shelves, Family Rm w/Cozy FP, Bonus Area for Office/Play Rm & Dual French Sliding Doors Opening to an Outdoor Patio. Stunning Gourmet Kitchen has Quartz Slab Counters, White Shaker Cabinets, Lrg Center Island w/Eat-Up Breakfast Bar, SS Appliances, Gas Range & Walk-in Pantry. Xtra Lrg Master Suite Offers Plenty of Natural Light w/Spacious Walk-in Closet, Dual Quartz Vanities, Soaking Tub, Stall Shower & Upgraded Finishes! Also Boasts High Ceilings t/o, Elegant Wood Laminate Flooring, Upgraded Tile, Plush Carpet, Tankless Water Heater + SO MUCH MORE! Rare Find!